Cupid's Bower is an erect perennial plant with whorls of 3-4 ovate to oblong, toothed, dark green leaves, up to 8 cm long, red-marked beneath. The plant bears solitary, long, trumpet shaped violet-blue flowers, up to 4 cm across, from summer to autumn. 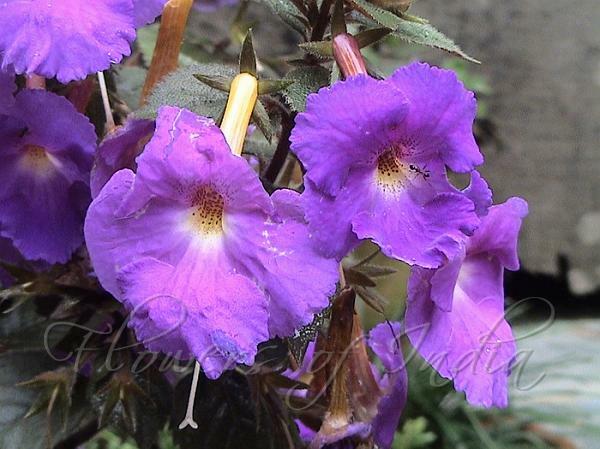 Achimenes are usually grown in hanging containers. These thin-stemmed plants require staking if grown in a container where upright growth is desired. 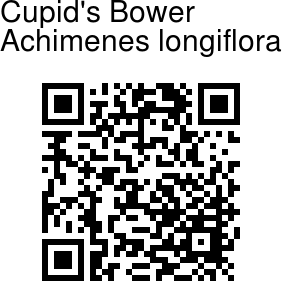 Cupid's Bower is native to C and S America, cultivated world over as a garden plant. Identification credit: Nandan Kalbag Photographed in Dehradun, Uttarakhand.